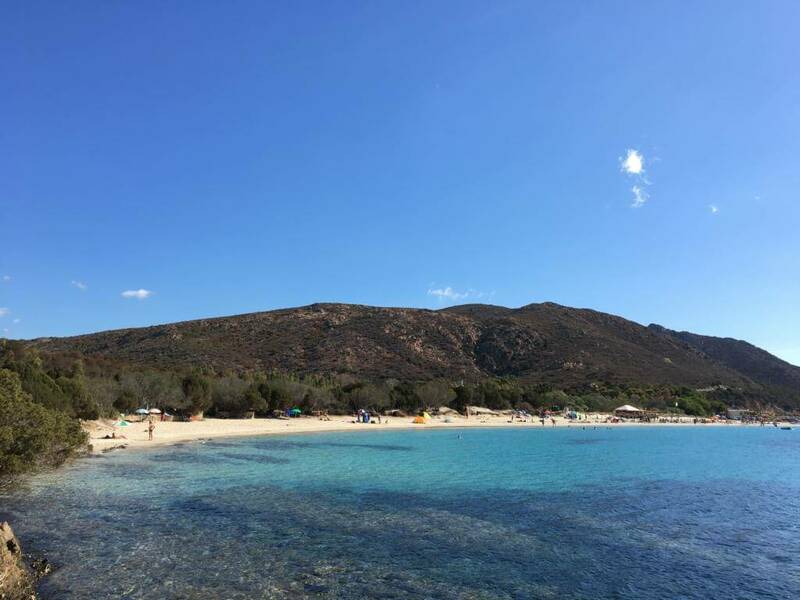 Which airports can be reached on Sardinia? How fast can I drive in Italy? 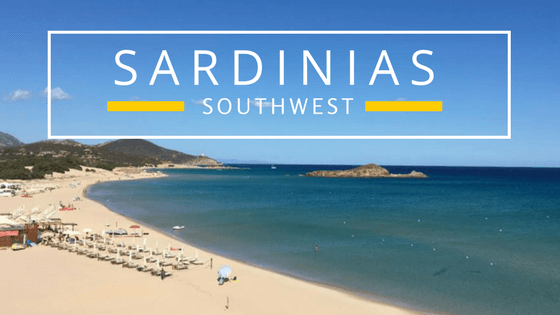 What to do in the southwest of Sardinia? Right after our holiday in Sicily it was already clear that the Italian islands fascinated us. And so it was obvious to spend another holiday in Italy with Sardinia. The safety on a lot of sunshine and great beaches in combination with delicious food were decisive for our choice. The decision was exactly right! Like Sicily, Sardinia is a relatively large island – the second largest in the Mediterranean to be exact. You should definitely allow plenty of time when driving across the island. 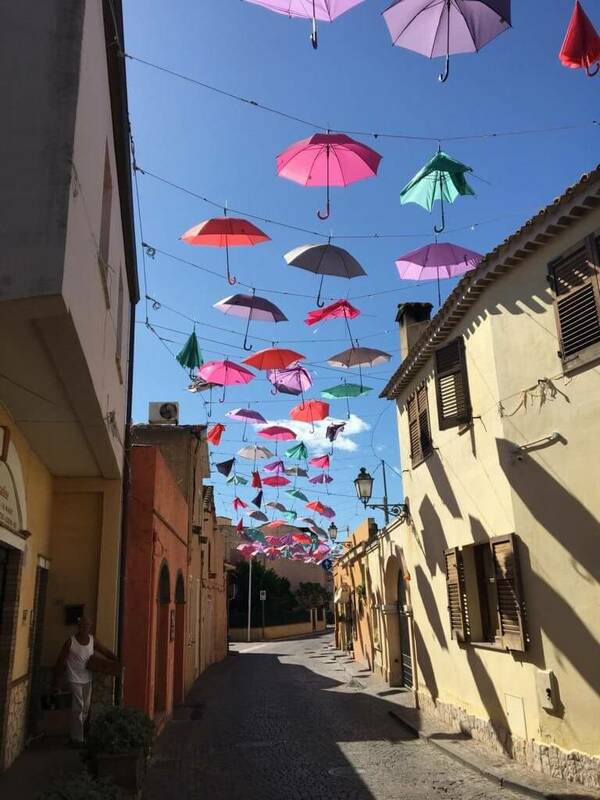 Alghero in the northwest – IATA Code AHO Aeroporto di Alghero-Fertilia “Riviera del Corallo” . We chose Olbia in the north, as this airport is directly approached from Hamburg. Other direct connections from e. g. Hanover to Cagliari in the south were cancelled due to flight times or several stopovers. Fortunately, the flight time from Northern Germany is only just over two hours. So you are relatively fast in Sardinia. Once there, the next question arises: how do I get around the island? You love to travel flexibly and don’t feel like using public transport, which may not stop at every bay for you? Then you’ll feel just like us. We have booked a rental car in advance on the Internet via well-known car rental portals. The costs for a mid-sized car were just under EUR 18 per day. The costs included all essential insurances, so that we could leave without any worries after our arrival. We recommend that you always take out a fully comprehensive insurance policy. The difference in insurance prices is usually very small. In the worst case scenario, you would really save money in the wrong place. After a thorough check of the car we had 2 big scratches included in the contract and then we went from Olbia from direction Chia on the runway. In front of us have been just about 300 km of driving distance on the highway-like SS131, which is also easy to drive. After a little more than three hours driving time we arrived in the southwest very happy. The last few kilometres we drove sporty and sporty in a Sardinian style over the country road towards Pula. Driving in Sardinia is not different than in other countries – but sometimes a bit more sporty. However, it is better to keep to the prescribed speeds of 50 km/h in towns and 90 km/h outside the city, as there are relatively many police controls. Often the locals drive at an “optimized” speed – don’t let it infect you. Some of the fines are also levied in Germany. It is important that you also drive with light during the day! The police are also happy to check out the parking areas on beaches. You should park your car on the paid parking lots. This is sometimes annoying and reminiscent of highway robbery, but it is still cheaper than a ticket for wrong parking. If you park your car incorrectly, you will be able to pay at least 28 euros, which you can transfer directly to the police at the post office. If you exceed a 5-day period, the fine increases again. Why can we be so specific? Because we tested it for you: -) The employee at the post office knew the procedure and carried out the transfer kindly. 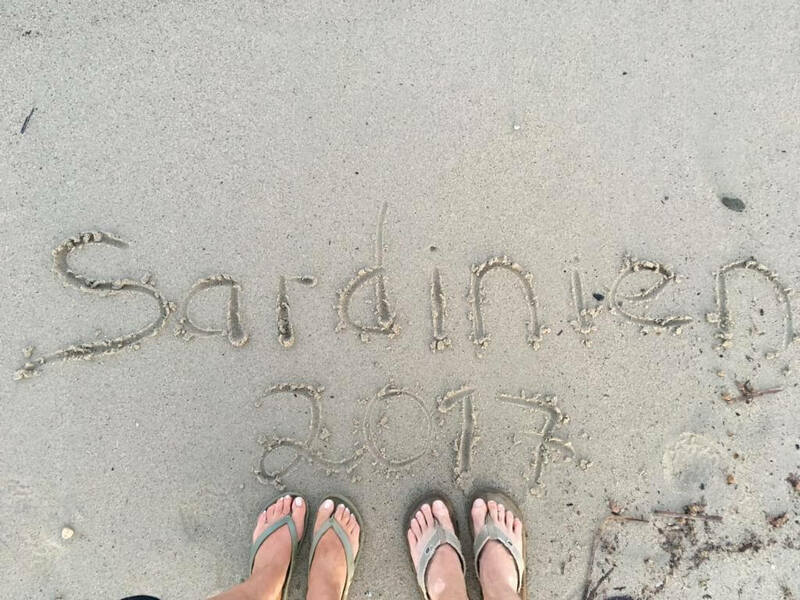 And that brings us directly to the activities we did in the south of Sardinia in one week! Our first week’s destination was the region around Pula and Chia with the Costa del Sud. 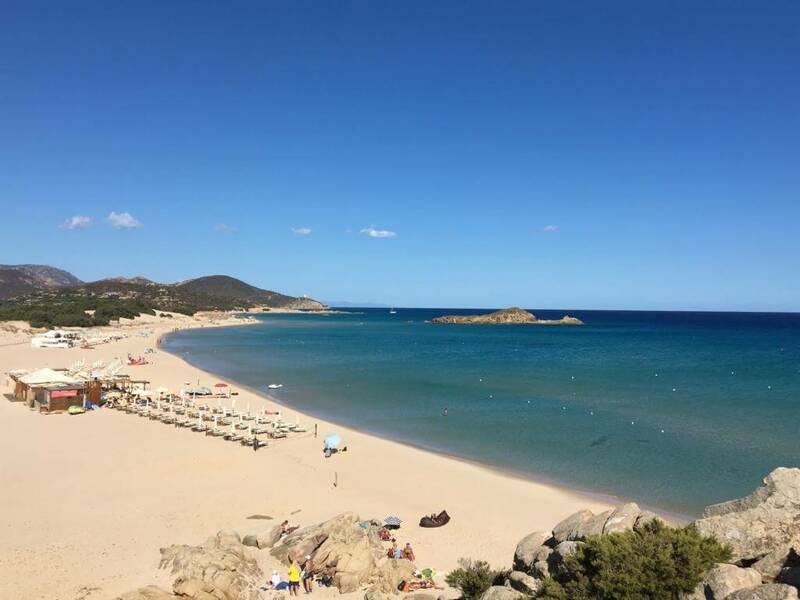 If you are looking for a quiet region on the island, you are in the southwest of Sardinia really well looked after. There are hardly any bigger hotel complexes, but there are more beautiful beaches. This corner of the island is relatively sparsely populated. We have booked our accommodation via AirBnB. (Here you can get a voucher for your first AirBnB booking – Affiliatelink – does not cost you anything and helps me to cover the costs for the blog. 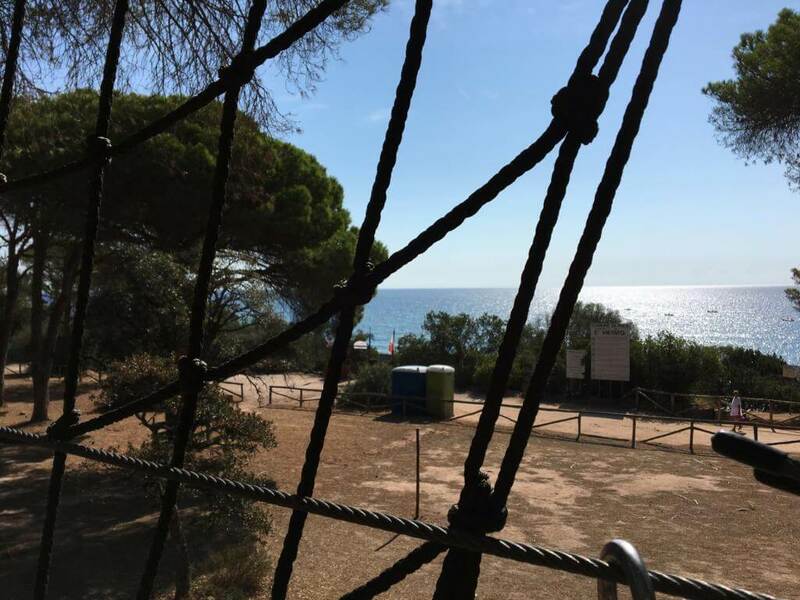 With a fantastic view over the pine forests at Santa Margherita di Pula to the sea, we had an ideal starting point for the activities in the first week. In this corner of Sardinia we were very happy that we had a rental car. The big goal in our summer vacation was clearly in the recreation and in the beach vacation! And Sardinia has fulfilled these points perfectly. The beaches are really fine sandy like the pictures we have seen before. The water is really as clear and turquoise as you can see in travel catalogues. In September it is particularly nice that it is pleasantly (bearably) warm and that the sea also has a refreshing temperature. Most of the beaches are shallow and are also controlled by lifeguards. Spiaggia di Cala Cipola (parking at the car park Spiaggia Su Giudeu, cost 5, – / day), then 5 minutes walk over the hill to the beach in the protected bay. 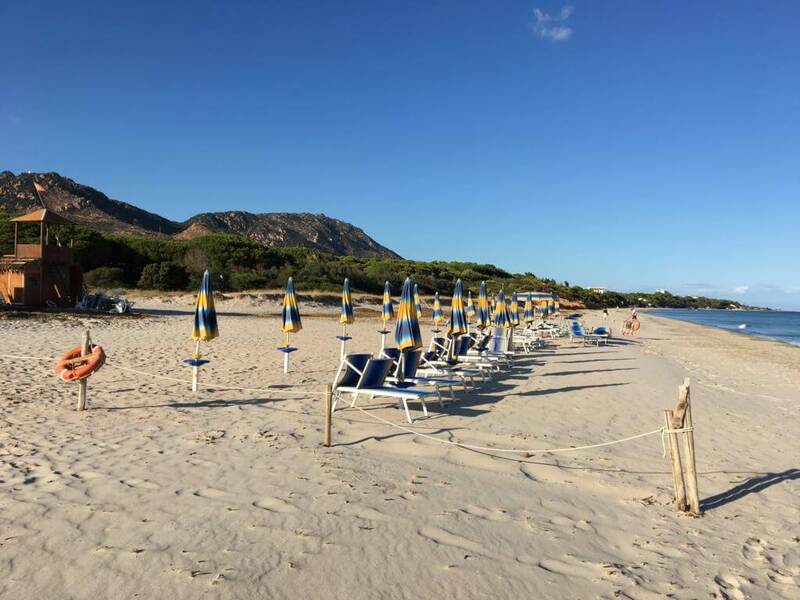 The beach at Torre di Chia – in the evening the restaurant at the campsite is also very recommendable. It is kept very simple but served the most delicious pizzas in the region. Our “house beach”, hidden behind the pine forest, and really one of the more empty beaches: Spiaggia Riva dei Pini. All beaches were easy to reach by car. What we recommend is to rent a parasol on site or buy it directly at the supermarket. The prices in the business were relatively low, so that few “daily rents” would have been significantly more expensive. Fortunately, on the way to Su Giudeu beach, we passed the riding arena of Giancarlo, which offers various tours and excursions with its horses. 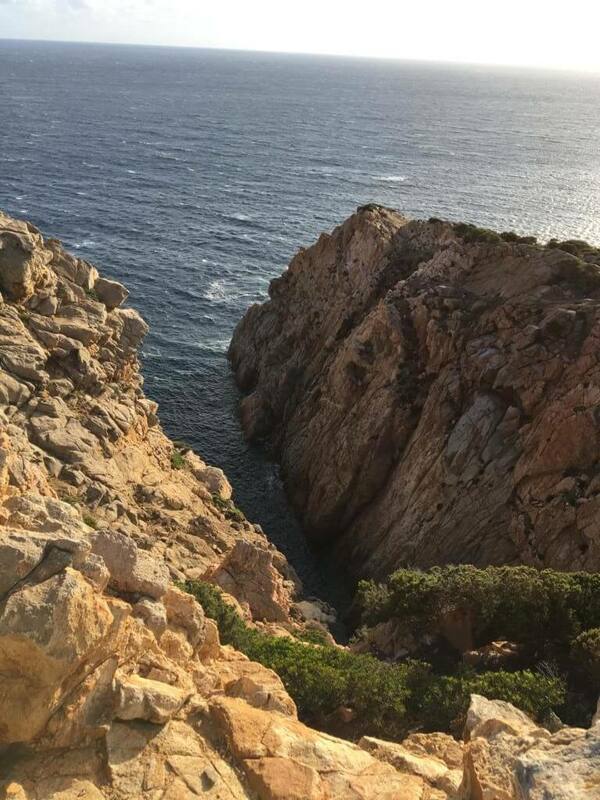 We decided to go on the evening tour along the coast of Chias to the lighthouse of the island at Capo Spartivento, which has now been converted into a luxury hotel. The ride was a great experience – feel Lucky Luke or Winnetou / Old Shatterhand. Honestly, the horses are so good-natured and used to carry even less talented riders safely over rough and smooth. 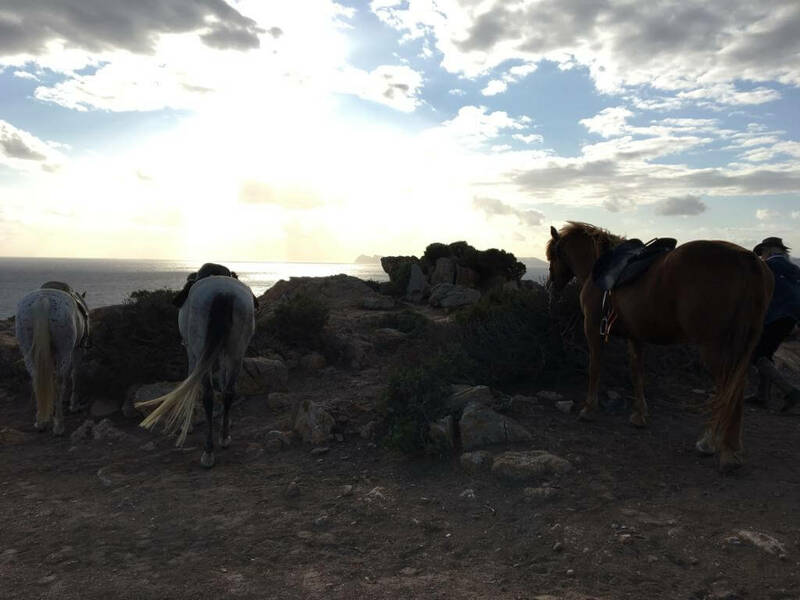 It was exciting to ride on the cliffs of the cape over the rocks at sunset. Giancarlo lived in Germany for a few years. He also gave us some tips about Sardinia. We would definitely do a tour again! You’re looking for something other than riding? 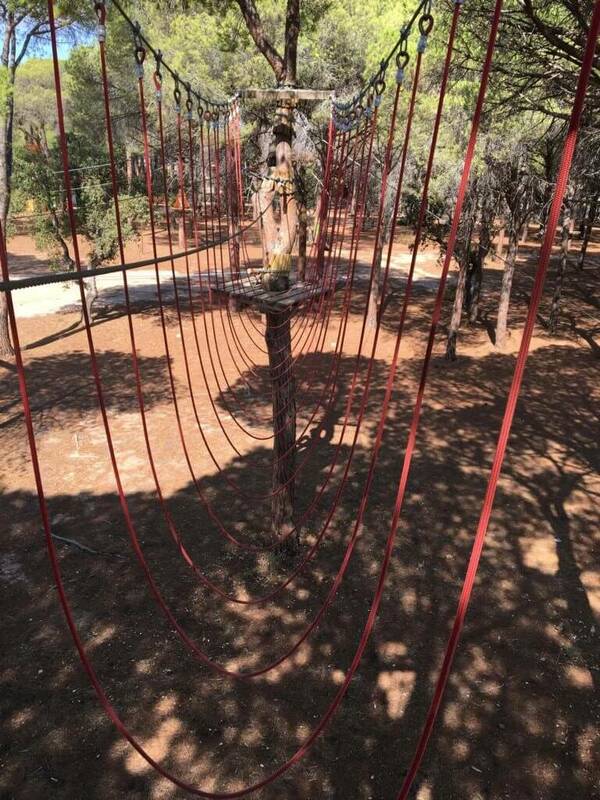 On our last day in the south we tried out the only high ropes course in Sardinia, the Pula Adventure Park. The park is located in a pine forest between Pula and Chia. Please check the website to see if the park is open. In the low season, the opening hours are only on weekends at selected times and days. The park itself is divided into several difficulty levels. After a short briefing, it started right away. Once engaged in the system, the safety device could only be released again at the exit on the ground. It was a little unusual that the safety rope was routed at hip/shoulder level. In other parks, the safety device was placed above the head, so that in case of a fall, one hangs more or less directly in the safety rope. Irrespective of this, the park was also interestingly constructed. Especially the last lap was a lot of fun due to the many cable car tracks. The biggest challenge for the cable car sections was to grab the holding rope in time to stay directly on the platforms. Cagliari, the capital of Sardinia, is located quite centrally on the south coast. From Pula you can reach Cagliari in about 40 minutes. If you are in the south, you should definitely have a look at the city centre with its many small alleys. 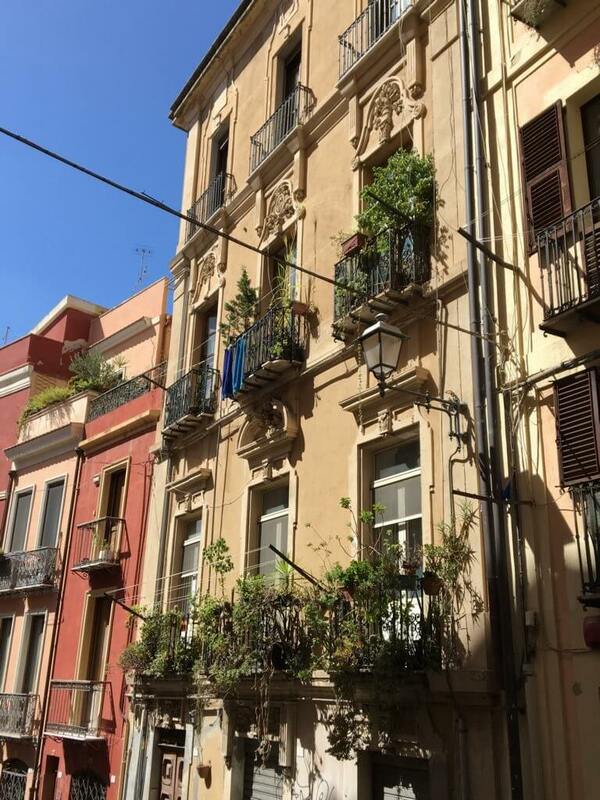 Our start in Cagliari began with a visit to the old town near the palace. You can also see the Cathedral of Santa Maria directly at the palace. From there, you can take a lift or walk through the steps of the Bastion San Remy and walk to the pedestrian zone in Via Giuseppe Garibaldi. In the pedestrian precinct you will find many great shops. For Cagliari you should allow at least one day. 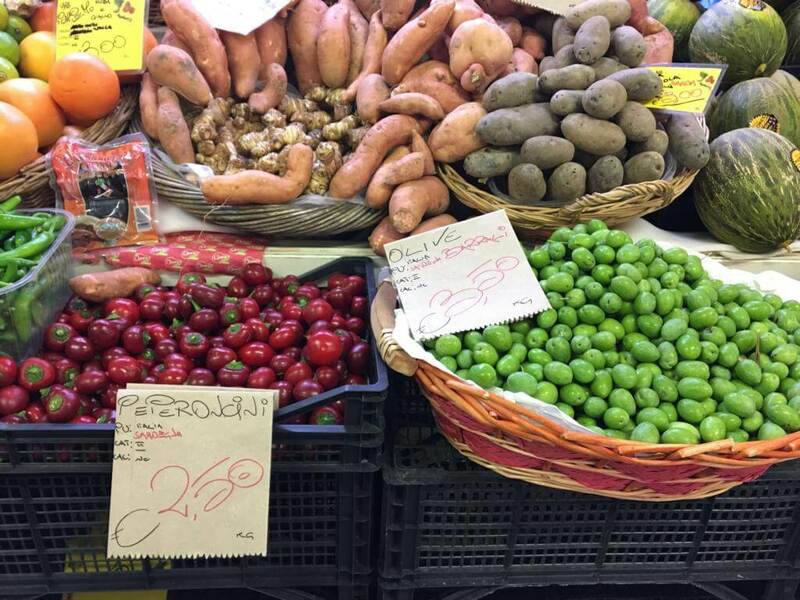 If you like market halls, we recommend the market in the large Cagliari market hall in the San Benedetto district of Via Cocco Ortu 50, where you will find fruit and vegetables in the market hall on the upper floor. 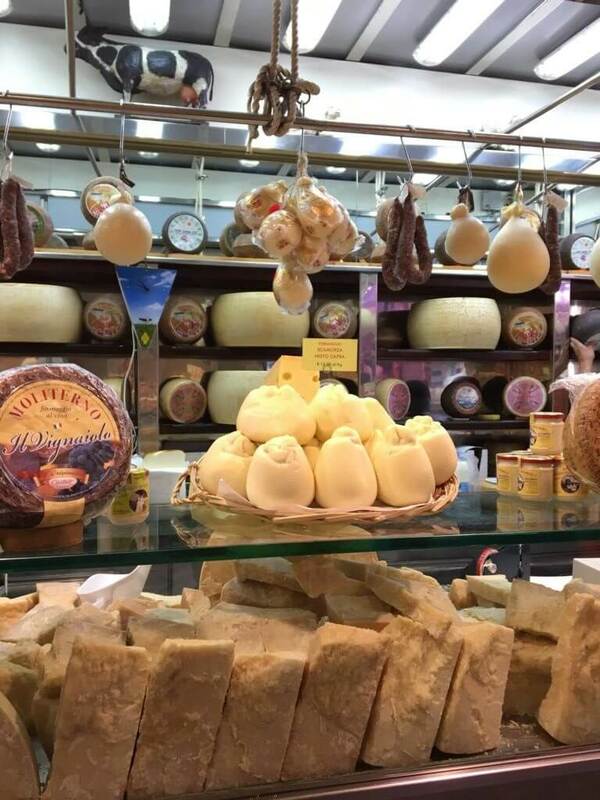 Butchers, bakers and cheese merchants also have their stalls in the market hall. When you go into the lower hall, it becomes much more lively. 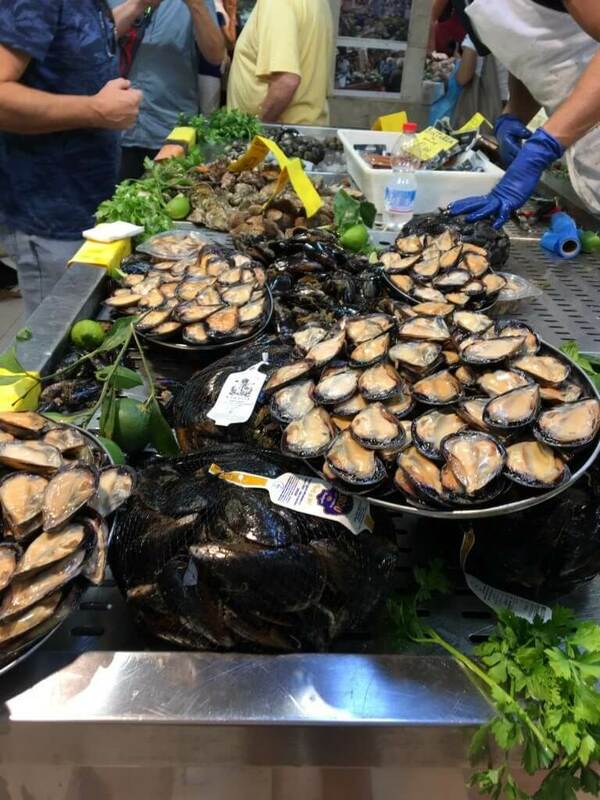 That’s where the fish merchants have the say and sell their goods. Take enough time to sit down in one of the many cafés in the city centre and enjoy the atmosphere with a delicious espresso or cappuccino. If you want to know more about Cagliari, you can also ask at the tourist office in the city centre. In the southwest of Sardinia it is a bit calmer. The next bigger place for us was Pula, which has a bigger supermarket and a small city centre. 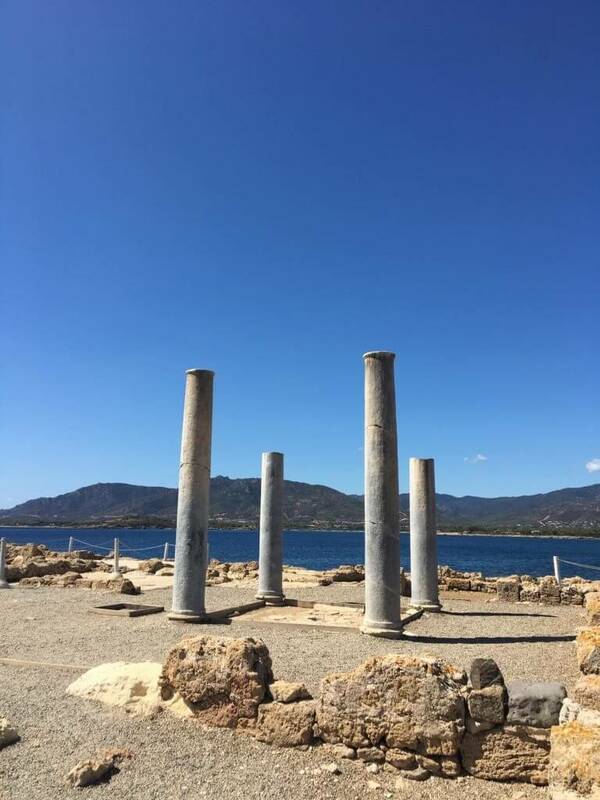 The Nora archaeological site in Pula is much more interesting, and it is said to be one of the oldest cities in Sardinia. The city was founded in the 9th century BC. 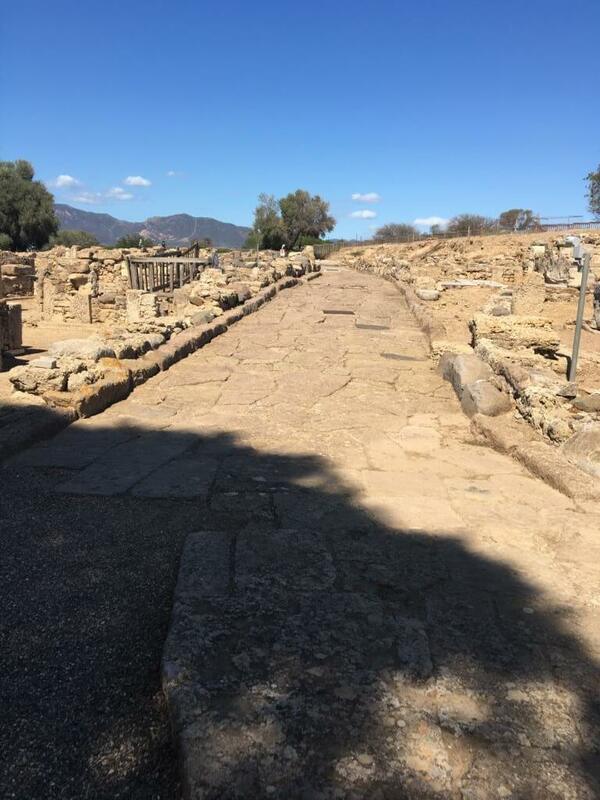 Many cultures have left their mark on the city and some areas such as the Roman theatre and mosaics are surprisingly well preserved. In summer you can even see performances in the theatre. Entrance to the excavation site costs 7,50 Euro with a guided tour (you can only participate in guided tours). 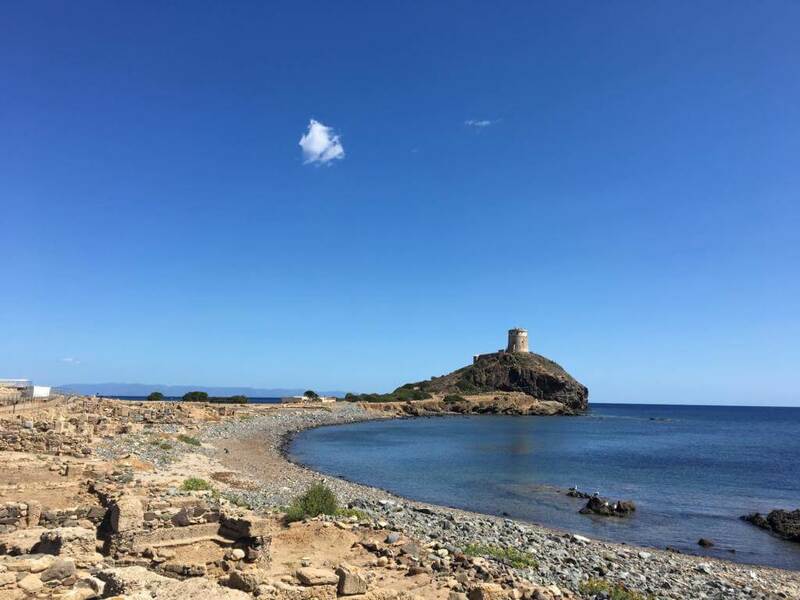 At the end of the tour, you will reach the Torre del Coltellazzo watch tower, from where you will have a great view over the sea and the bay. The tower was part of a series of signal towers on the coast of Sardinia, which were to alert the pirate attackers accordingly. If you like excavation sites I can recommend Nora to you. If you don’t find excavation sites so attractive, the beach in the bay directly in front of Nora is also a wonderful place for a stay! Unfortunately, in September we do not have 100% certainty in Sardinia on sunshine. So we used one day and went to the west of the island. The first major stop was in Iglesias. The town had its great times with mining in the 15th century. with the mining of silver. 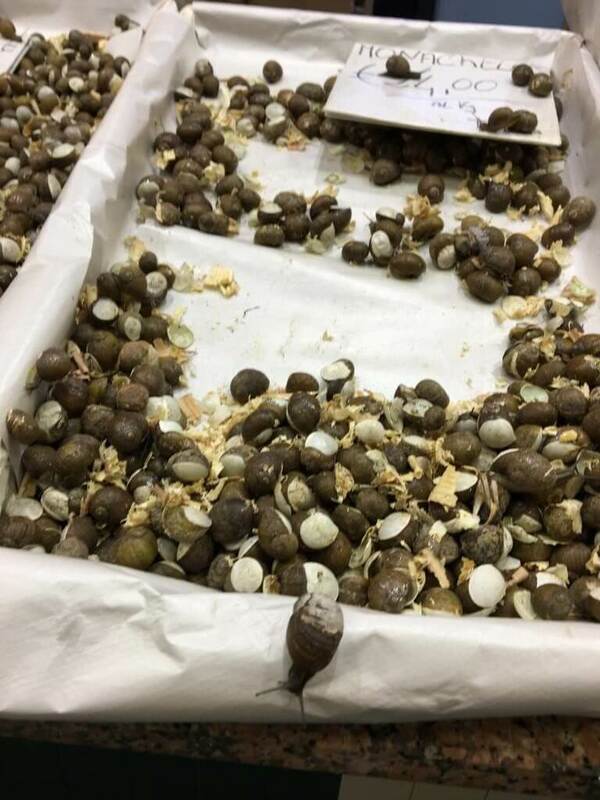 In the last century, large quantities of lead and zinc were still produced. Today, mining in the city, is history. If you are going to Iglesias, you should definitely visit the old town with its many small streets, bars and shops. 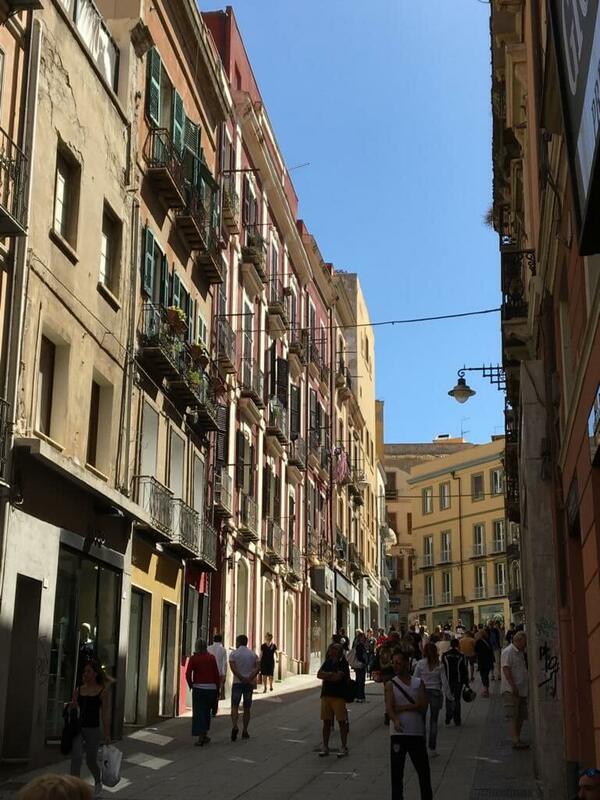 Ideally, you should visit cities in Sardinia in the morning or from late afternoon. Most shops are closed at midday (this also applies to some petrol stations!). From Iglesias we drove towards the coast. If you are interested in Lost Places, the ruins at Nebida might be interesting for you. Okay, it’s not lost places in the real sense of the word. The buildings of the old mining companies and mines are nevertheless exciting. The way via the coastal road SP83 is worth the trip alone. 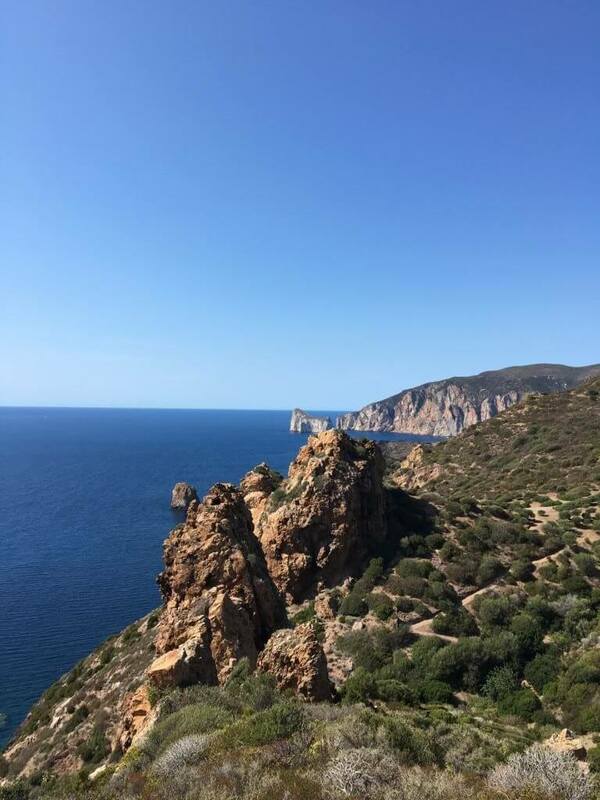 In Nebida there is also a panoramic path with a great view of the cliffs of the coastline (directly at the entrance of the village, coming from Fontanamare). 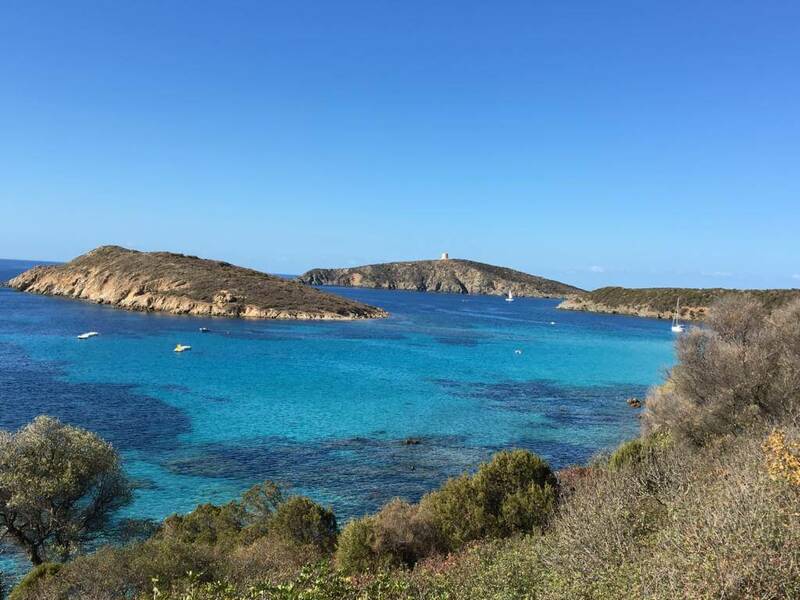 Via a dam in the southwest of Sardinia you can also reach the small island of Sant’ Antioco. We visited the island for a short time on the way back to our apartment. The city centre of Sant’ Antioco is, like many of the other small towns, very charming. On the next drive to our apartment in Santa Margarita du Pula we passed one of the largest military training areas in Italy. The entire Capo Teulada is closed except for one beach “Le Dune”. Did you know that Sardinia is (unfortunately) a popular destination for the military as well? Many larger bases are in Sardinia. The beach “Le Dune” can also be closed by the Italian Ministry of Defence during manoeuvres. It is best to inquire first. Generally speaking, the places on Sardinia are not far apart by our standards. The location between the mountains with its serpentines increases the driving time considerably. Our highlights in the southwest were the great beaches and the horseback riding trip along the coast. After a week we went to the northeast, where we also had a lot of great experiences! Here you can read more about the north of Sardinia. You may also check our post about Gran Canaria or the island of Tenerife, which we recently visited in January. Such an awesome Italian Beach you have shared about. The pictures share the experience and Sardinia’s southwest seems to be the most exotic place. Looks like must visit destination. Noted for future travel. thank you for your comment! 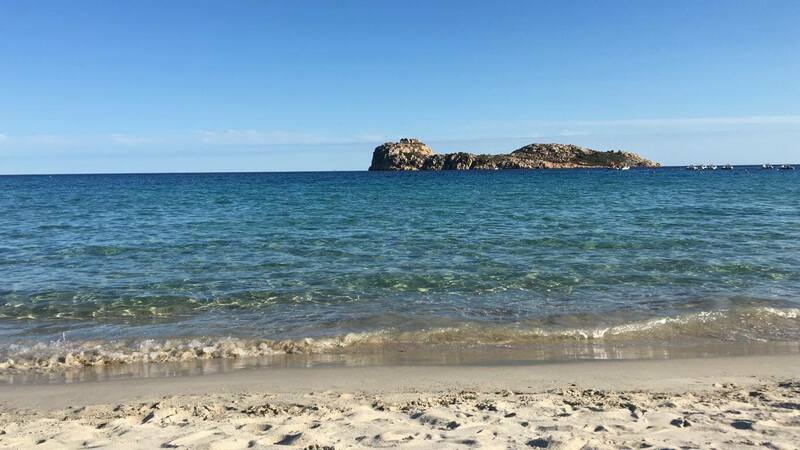 It is really difficult to findnot a beautiful beach on Sardinia 🙂 Visit is strongly recommended! Hey! 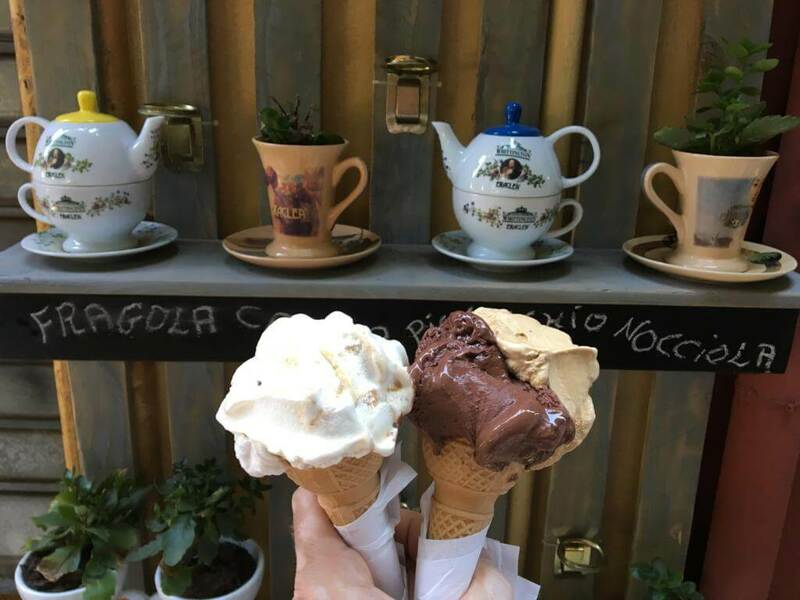 I did travel to Italy this summer but looks like I have missed out a chunk! Your blog is very well documented and informative ! Love it and love the pictures! thank you for your comment! 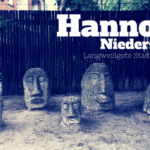 I started the travelblog just this year in the German version and I am recently also adding the English translations. Yes, Italy and Sardinia are great destinations. This is an awesome post! I’ve actually never heard of these places. I now really want to go to these places, they are stunning. Love how detailed and very informative your post is! 🙂 Sardinia’s beach are so gorgeous.. So perfect for a relaxing vacation.. A week here doesn’t seem enough to soak it all in!.. 😉 I would love to do horse riding on the coast too. Sounds incredible! You’ve convinced me to want to visit Sardinia. Who can say no to the beautiful turquoise waters and the stunning secluded beaches. The zipline parc looks great fun and so does the horse riding along the coast. I hadn’t heard of this place before and looks like a good off-beat destination. Would love to go in the future. Great post!